Backpacks that do not fit properly, worn incorrectly, or are too heavy can create aches and pains for children and teens, especially as their young bones are still forming and delicate. Always use both shoulder straps. Draping a backpack over one shoulder can increase curvature of the spine. 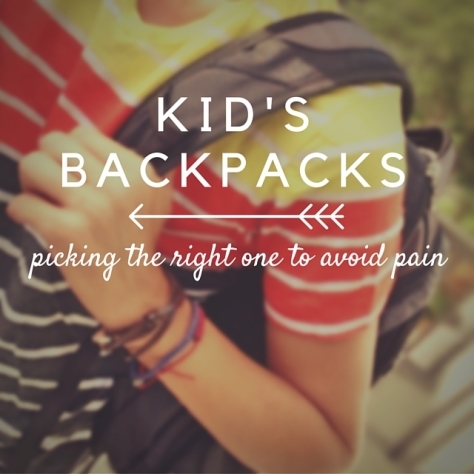 And remind your kiddos to let you know if they ever experience neck, back or shoulder pain, especially at the start of the school year when wearing a backpack every day is new again.